LiveGrade Pro comes with support for Canon broadcast monitors. You’re able to send looks to be applied on the monitor image by using a network connection (LAN or WiFi depending on your setup). 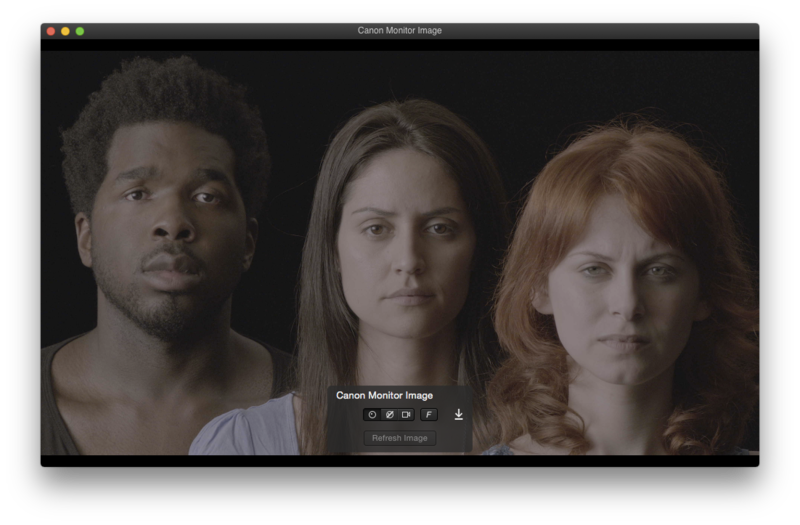 Additionally LiveGrade Pro is capable of taking a frame grab from the monitor that can be saved to the Clip Library as a reference along with the look. In Dual Mode the monitors are capable of grading only one input. A list of all the Canon Monitors supported can be found in the Knowledge Base article All Supported Devices in LiveGrade Pro. Based on the example of the Canon DP-V2410 it will be demonstrated how to add a compatible Canon monitor as a device. In order to receive look information from LiveGrade Pro, the Canon monitor needs to have a working network connection with the Mac where LiveGrade Pro is running on. Once a correct connection is established, launch LiveGrade and you can proceed to add the Canon monitor as a device. In order to do that, you can choose “Slots” in the main menu and then “Add Device”. Alternatively, you can add the device through the Device Manager. By hitting “Refresh” you can search for compatible monitors connected to your network. All monitors found will show up in the table view. Select the intended device and click “Add Monitor” to add the monitor to the selected slot. In the main LiveGrade window, the Canon monitor is now displayed in the corresponding grading slot as a device. After selecting the correct grading slot you will be able to adjust the look that is sent to the monitor by modifying it in the Main Window of LiveGrade Pro. As the monitor permanently stores the last look that was sent, there is no need for the “Permanently Store Look on Device” functionality of LiveGrade Pro. The Canon DP-V2410 and DP-V3010 monitors support a LUT size of 17 x 17 x 17. 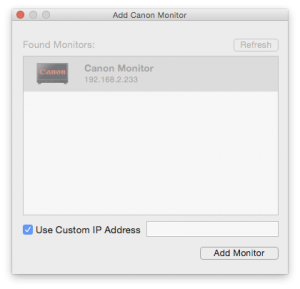 To learn more about the connection state of the Canon monitor you can open the Device Manager by clicking on the button “Devices” above the Grading Slots view. 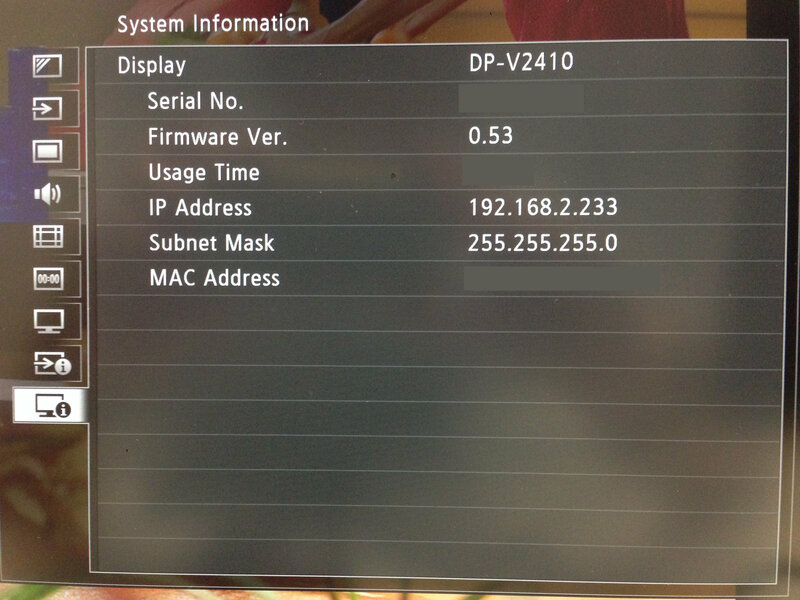 The Device Manager shows a properly connected Canon DP-V2410. By hitting “Disconnect” you can temporarily disconnect and reconnect the selected monitor. 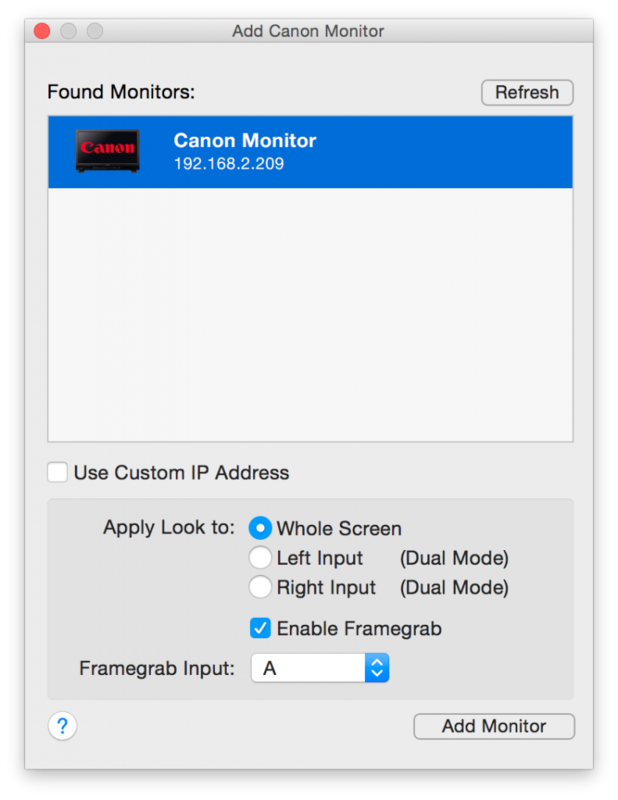 When adding a Canon monitor to LiveGrade you can select a certain input when the monitor is running in “Dual Mode”. Choose the according radio button to add the left or the right input as the desired target. An additional panel when adding the monitor as a device lets you control the input selection in Dual Mode, the enablement of a frame grab and the frame grab input source. The supported Canon monitors are capable of taking a frame grab from the screen. To enable the frame grab funcitonality, please make sure to have the “Enable Framegrab” checkbox set when adding the Canon monitor as a device. The Framegrab Input dropdown lets you select the input the frame grab is taken from. In the main LiveGrade window, the Canon monitor is now displayed in the corresponding grading slot as a device, as well as the Canon monitor image as an Image Source of the slot. You can open the Image Viewer to display the image by double clicking on the «Canon Monitor Image» thumbnail shown in the correspoinding slot. Select the monitor image and click the “Framegrab” button on the top right of the LiveGrade task bar. This will send a look to the library that includes a reference still.